Besides design overhaul, there are a few changes on how various parts of Messente work from now on. If you have multiple accounts, you will now get a list of accounts to choose from. This way there are less ways to accidentally start sending from wrong account. No worries - if you have access to just your one account it will be selected automatically for you! Second thing you will notice is a totally new Dashboard. First thing you will see is an overview of the last 30 days of activity of your account. Below the nicely crafted line-graph is a short overview of current month statistics. 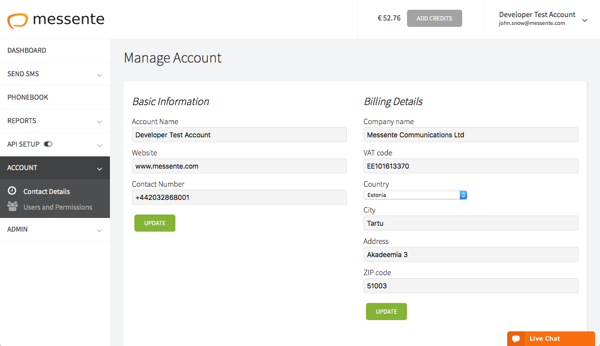 Billing Details are easily accessible at User Permissions from the left-hand Account menu. 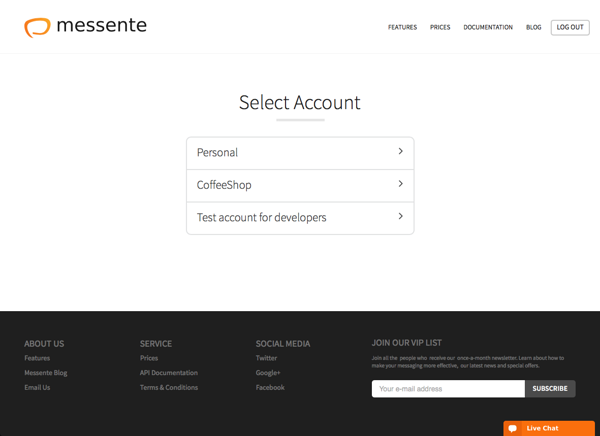 It is going to be interesting time for Messente's web interface with multiple enhancements already in the development and some in the testing phase. 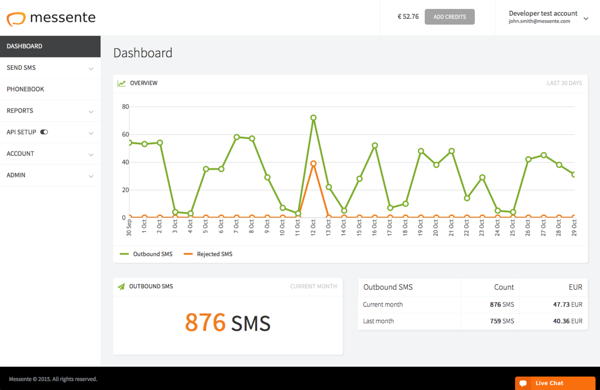 The main areas which will get more focus are SMS Sending Tool, Reports & Analytics, improved Contacts Importing and more powerful API settings page. We are also going to have a notification area where you can keep yourself up to date with most recent improvements - this keeps your mailbox clean with relevant data straight from the website. If you have some suggestions, do not hesitate and let us know at messente@messente.com. Our goal is to make the dashboard experience better and your help is definitely useful.